I am honored to have been selected to be part of the Running for Rare Disease Marathon Team in support of the National Organization for Rare Disorders (NORD). This is my third opportunity (I ran in 2015 and 2017) to be part of this mission to raise awareness and help contribute to the cause of rare disease/s. NORD is dedicated to supporting individuals and families impacted by rare disease and the organizations that serve them through programs of education, advocacy, research and financial assistance services. Rare diseases impact the lives of 30 million Americans – two-thirds of whom are children. On average, it can take a patient 5-7 years to receive an accurate diagnosis, at which time 95% will be told there is no FDA approved treatment or ongoing research to learn more about their disease. 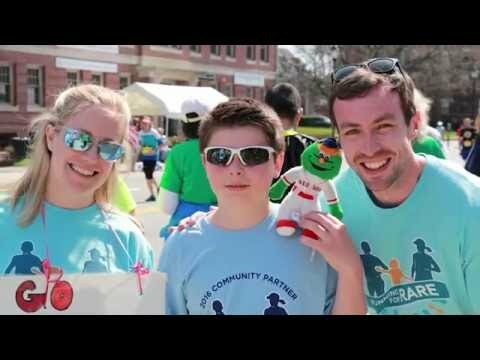 The funds raised from the Running for Rare Diseases Team will support NORD’s Undiagnosed Diseases Program; helping individuals to receive a diagnosis from the National Institutes of Health (NIH). Donations in support of this campaign will be tax-deductible to the extent permitted by law. NORD has received the top (4-Star) rating from Charity Navigator, a leading independent evaluator of charities. The individuals and families helped by NORD often have nowhere else to turn for assistance. Your support of this campaign is very important to them. I want to join this team and agree to raise a minimum of $6000 by May 15, 2019.